The Luminous DataBridge consists of two key components, the Management Interface and the Translation Engine. The Management Interface provides a user-friendly console used to manage the translation and integration logic, schedule data flows, and configure system connectivity between systems. 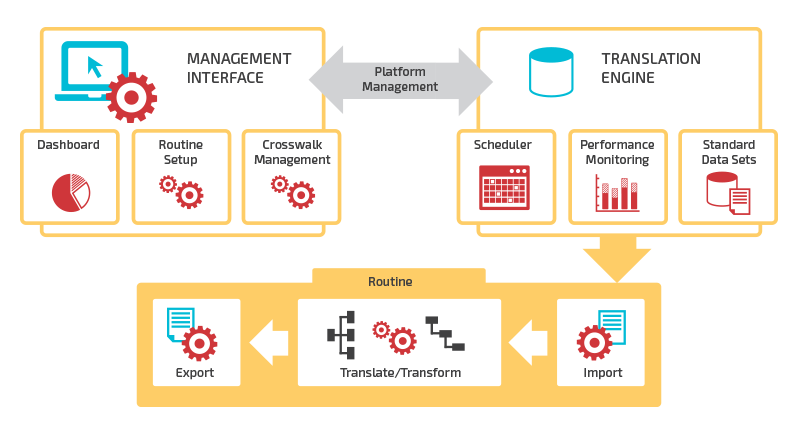 The Translation Engine applies the transformation logic and moves data from the source to destination according to the parameters defined in the Management Interface. 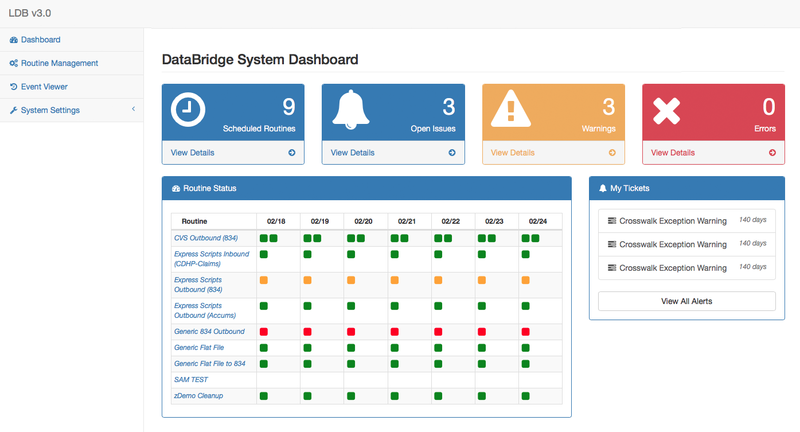 The end user experience has been designed via the DataBridge Dashboard to enable the end user to always be within ‘three clicks to action’ to view essential data points or perform required actions. 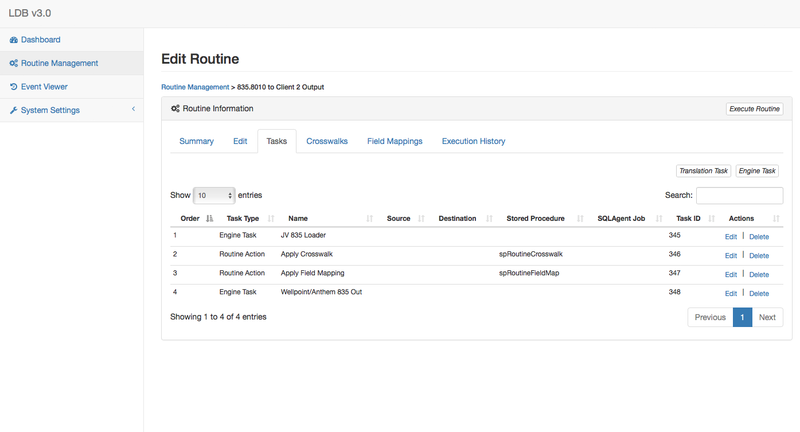 The Dashboard page represents a high-level status of the routine inventory. The Dashboard displays the unresolved warnings and errors generated by executed routines, and provides further details on the execution status of a given routine. When the user clicks on a colored box icon on the Routine Status table, a separate pop-up window opens which displays pertinent details related to the specific run of the selected routine. This includes the run status and severity, scheduled date and time of execution, and a list of other routine events. The Routine Management page operates the core configuration functions of the DataBridge. From this page, the User can create, edit, and delete routines. Routines are comprised of one or more engine or Custom tasks which perform specific functions in the execution of a routine. 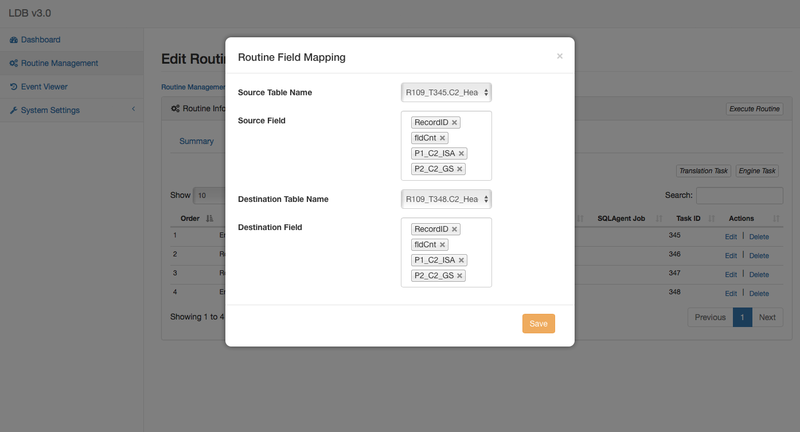 The Field Mappings tab allows the user to Create, Edit, or Delete field mapping values. Field mappings are typically represented as data values that will change or are alternatively represented between the source data input, and the destination data output. This pop-up window allows the user the edit the mapping values. 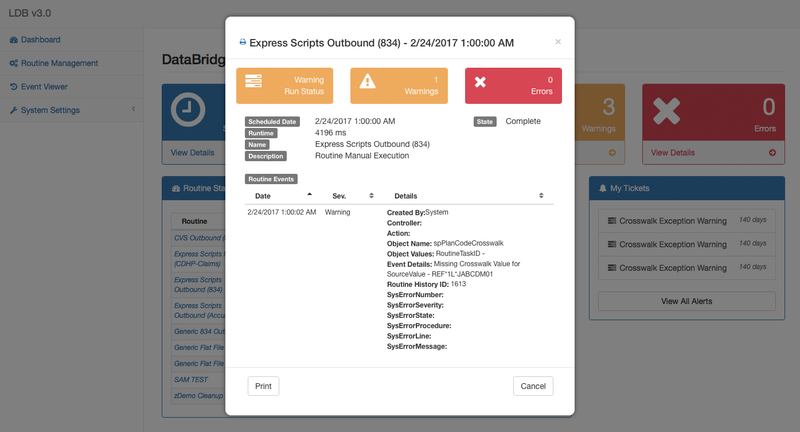 Built to empower the business analyst and data subject matter experts, the DataBridge exposes the application of data transformation logic in easy to understand, configurable components.